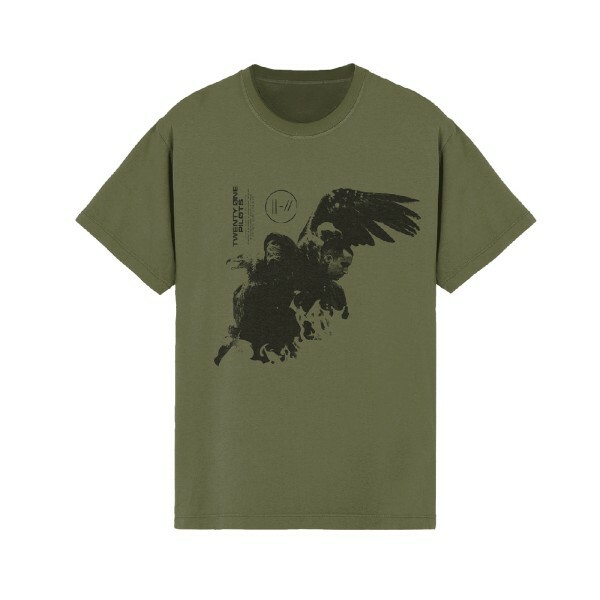 The twenty one pilots ‘Aerial’ T-Shirt here features a collage style image of the band and elements from the “Trench” album. The band name and “Trench” tracklist are printed within the design on a military green Next Level brand t-shirt. 100% cotton.